Brisk Fridge Truck Rentals Pty Ltd is wholly owned by Briskair Pty Ltd.
Briskair Pty Ltd specialise in the sales, instalation and servicing of Airconditioning Systems suited to the Commercial Vehicle Automotive and Industrial Industries. The Company has achieved international recognition for its contibution to the design and development of battery powered airconditioning systems for heavy trucks and earthmoving equipment. In addition Briskair Pty Ltd are the Australian and New Zealand distributors for “Lubecore Automated Greasing Systems” with a nationwide distribution and dealer network. 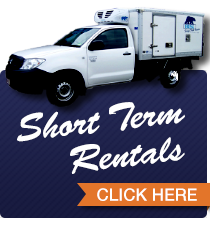 Over past years we noted that a number of our Brisbane Brisk Air clients regularly requested the services of a Rental vehicle whilst we were servicing or repairing their vehicles. It is from these enquiries that we saw an opportunity to value add to our core business and in 2009 we established Brisk Refrigerated Truck Rentals. Through these initial relationships, our off engine drive refrigeration business has grown and exceeded our initial expectations to date. Our Australia wide dealer network are linked to our Fridge Truck Rental Fleet to provide service support to our Rental Customers when traveling in regional areas.